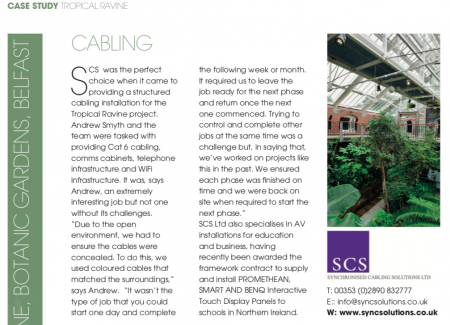 One of our latest projects features in this month’s edition of Electrical Magazine. Electrical Magazine is one of the leading electrical trade magazines in Northern Ireland and Republic of Ireland. The location was the Tropical Ravine in Botanic Gardens in Belfast. Read more about what Andrew Smyth says about the job above.